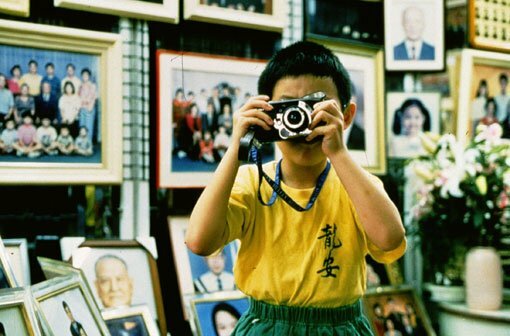 Neon gods, the next free film series at the Art Gallery of New South Wales, celebrates the extraordinary cinema of some of the most significant directors of the 20th century including Ang Lee, Hou Hsiao-hsien, Edward Yang and Tsai Ming-liang. Presented on rare 35mm film print, Neon gods follows on from the success of recent Gallery film series showcasing Asian cinema, including Starburst (2017) and Asian new waves (2016). The latest retrospective of Chinese-language cinema, Neon gods, is staged in association with the exhibition Heaven and earth in Chinese art: treasures from the National Palace Museum, Taipei. Exploring the rich heritage of Chinese civilisation through the ancient concept of tian ren he yi — unity or harmony between heaven, nature and humanity – the exhibition Heaven and earth in Chinese art presents some of the highest artistic achievements across 5000 years of Chinese history. The collection of the National Palace Museum is rarely seen outside Taipei and this is the first time it has travelled to the southern hemisphere. Neon gods features timeless action classics such as Crouching tiger, hidden dragon (2000) alongside acclaimed audience favourites like Yi yi (2000) and a once-banned, newly rediscovered landmark of 1970s queer cinema The end of the track (1970). Curated by AGNSW curator of film, Ruby Arrowsmith-Todd, the series opens with iconoclast director Tsai Ming-liang’s debut feature Rebels of the neon god (1992). “Rebels of the neon god is a cult classic about hoodlums prowling the streets of nocturnal Taipei. A revenge odyssey unfurls in the neon glow of the city’s video arcades, roller discos and love hotels,” Arrowsmith-Todd said. “In the 1980s a new wave of Chinese-language filmmakers burst onto the festival circuit with bold and formally innovative stories of societies in flux,” Arrowsmith-Todd said. “With a cast of rebels, action heroines and queer outsiders as guides, Neon gods takes audiences on a journey through the best of Sinophone cinema,” Arrowsmith-Todd added. Neon gods also presents a delightful coming-of-age drama, A summer at grandpa’s (1984) courtesy of master Hou Hsiao-hsien, and Edward Yang’s enigmatic urban thriller, Terrorizers (1986). Other highlights include Hou’s trio of rapturous love stories and best-of-the-decade staple, Three times (2005); King Hu’s epic martial arts tale A touch of zen (1971); and Huang Hui-Chen’s intimate family portrait, Small talk (2016), winner of the prestigious Teddy Award at the 67th Berlinale. Neon gods includes rare 35mm prints from national and international archives.